Person Overboard! Sailing Rescue Techniques! Return without delay to a position near the victim. Manoeuvre your boat close enough so you connect him or her to the boat. See that they are ok. The moment someone goes over the side, a boat cushion or life preserver should be tossed to him/her. Make sure to keep him/her in sight, and as the distance widens, it is increasingly important to maintain visual contact with the person overboard. Even when you are alone on the boat, keeping the victim in sight is second only to getting the boat back to him. 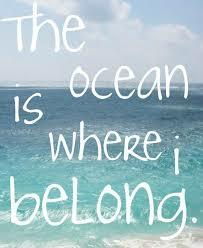 Everything becomes more practical as you get in closer proximity to the person in the water. Here are three methods of rescue. over board. Only do this in light winds to avoid capsizing. Remember to stay in constant communication with the victim. When a person falls overboard, immediately yell "Crew Overboard!" and keep a close eye on them. Now quickly head up to a close-hauled course. Retrieve the person on the windward side of the boat. Let the mainsail out to stop. in constant communication with the victim. Head on a broad reach for about 15 to 20 seconds. Keep your eyes on the victim. Then come about and head up. Go beyond the victim and come about again, proceeding on a broad reach. Head up to the leeward side of the person and let the mainsail out. recommended method that calls for the boat to go head-to-wind as soon as a person goes in the water. 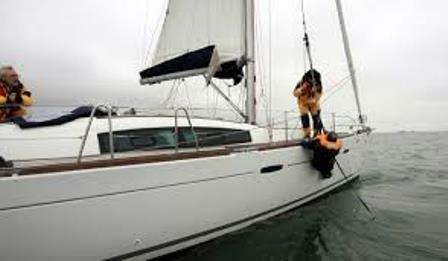 The jib is backed to further reduce speed while the sailboat continues turning until the wind is abaft the beam. The course is stabilized on a beam-to broad-reach for two or three boat lengths, then altered to nearly dead downwind. 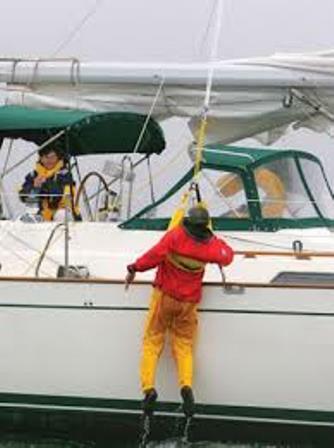 If the wind is light, you can tack immediately after the person falls overboard and leave the jib cleated. Remember to stay in constant communication with the victim. First, immediately yell "Person Overboard!" and toss them a flotation device. Keeping an eye on the victim immediately come about and backwind the jib by leaving it cleated. Let the mainsail out so that it luffs and drifts towards the victim. Let the mainsail all the way out and uncleat the jib. All these methods are good and each will benefit from practice. Most practice sessions are held in calm water on clear days, which is rarely the condition in which a man-overboard emergency will occur, so think about handling the situation in a storm, or at night, or in fog. The wise sailor reviews his plans for handling person overboard scenarios every time he goes aboard a boat. He applies his plan to the conditions prevailing whenever he goes on deck. 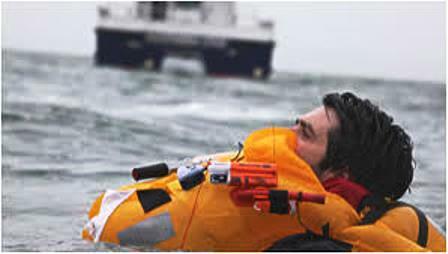 When a crew member goes in the water there should be no delay in starting the best retrieval method. Many safety authorities believe that the victim should be picked up on the windward side, but I believe that with a sailboat the leeward side is likely to be both lower and more sheltered, with the boom readily available as a mounting for the hoisting block. As the boat drifts to leeward it will drift away from a victim who is to weather, but will remain close to the victim to leeward. Watch out, though, to make sure that the boat bouncing in a seaway does not slam down on top of the swimmer. Resist the temptation to have someone go in the water to help the victim - you may lose two people. If the person in the water is unable to help himself you then may have to send a spare person into the water to help. 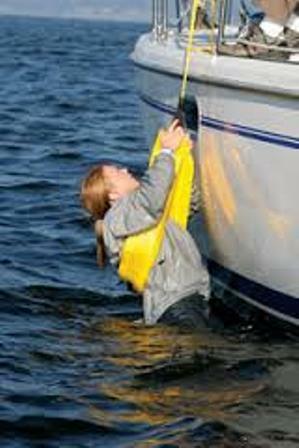 In this case make sure there is a line securely attaching the boat and the would-be rescuer. Plan ahead how you are going to get this person overboard back aboard. Of course the more you know about how your boat behaves under differing circumstances; the better will be your performance in any emergency. Picking up a mooring under sail, particularly in winds over 30 knots, teaches you a lot that you can use to save a friend's life. At all times handle your sails at racing speed. Whenever you can, practice and think about what you are going to do in a person overboard situation. The seconds you save may be important in an emergency. Linda Cullum is from Cape Cod, MA, with a second home in Vermont. She is the author of Learn to Sail! With Multimedia! A Sailing training CDROM/DVD which teaches all aspects of Sailing including Knots, Piloting, Rules of the Road, Weather with digital video from Sail Magazine, narration, animation and quizzes.